For fans of Jane Austen, arguably one of the most popular authors of her era, social networking is nothing new. She already has a presence on Twitter, but this time, Jane Austen enters the social world via a different route: Facebook gaming. 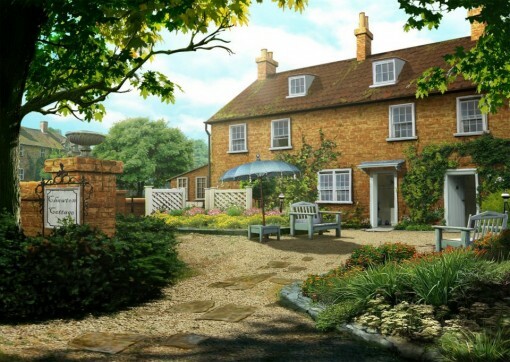 The game is set in Regency England, and the goal is to find hidden objects. Obviously, Jane Austen enthusiasts will be able to relate to the characters in Rogues and Romances. Does Mr. Darcy ring a bell? Heck, even non-readers will recognize that name! On top of having to find characters from Austen’s most popular works, players have other tasks such as uncovering hidden objects. If you are into spot the difference games, these tasks will also be present in Rogues and Romances. To find out more about Rogues and Romances, visit its Facebook page. One interesting detail, the page describes the author as the original social networker. Austen fans, do you agree with this? Would you play the game? Not sure? Here is a trailer that might give you the info you need to decide whether or not to give Rogues and Romances a spin.